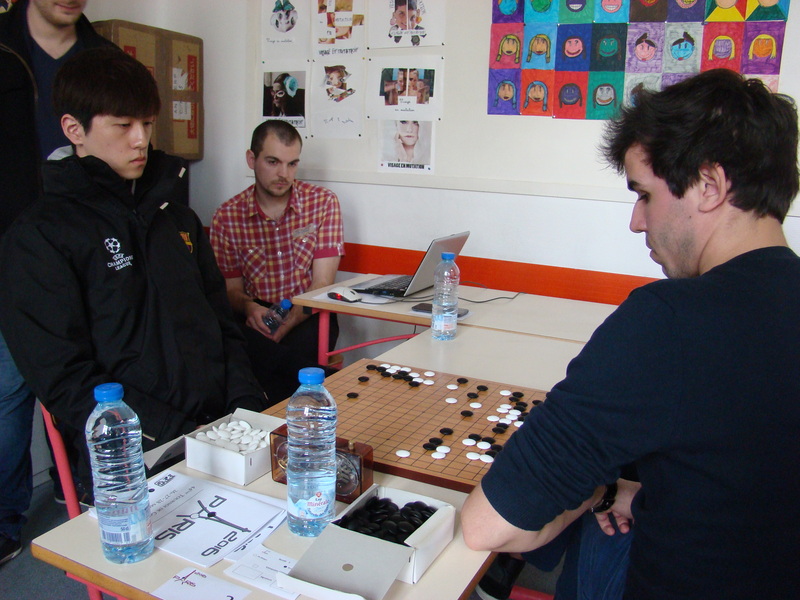 Mingyu Oh 7D won the 2016 Paris Go Tournament, held in Neuilly, Paris, France from March 26-28. 152 players competed this year. This is the 44th edition of the event with 6 rounds and a first prize of €1000. It is the largest tournament in France and one of the major European tournaments. Mingyu Oh 7D (at left in photo) won the tournament undefeated and also recently won the Irish Confucius Cup from March 4-6. Jinwon Chae 6D took second place going 5-1 with his lone defeat to Mingyu. Thomas Debarre 6D of France placed 3rd, falling to Mingyu and Jinwon, as the highest placing European. Dai Janfu 8D of France placed 4th. Other familiar competitors attended the tournament including Cornel Burzo 6D and Cristian Pop. Next year’s tournament will be in April.